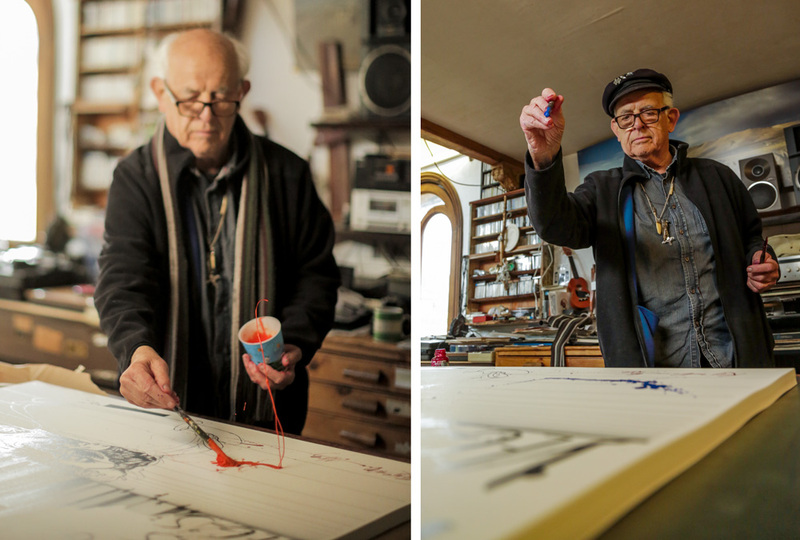 Inside Ralph Steadman's Savage Journey For His 82nd Birthday! 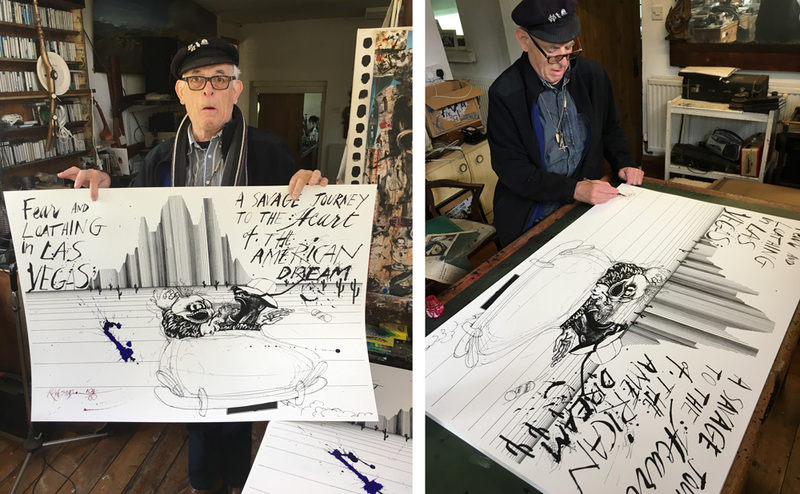 Inside Ralph Steadman’s Savage Journey For His 82nd Birthday! 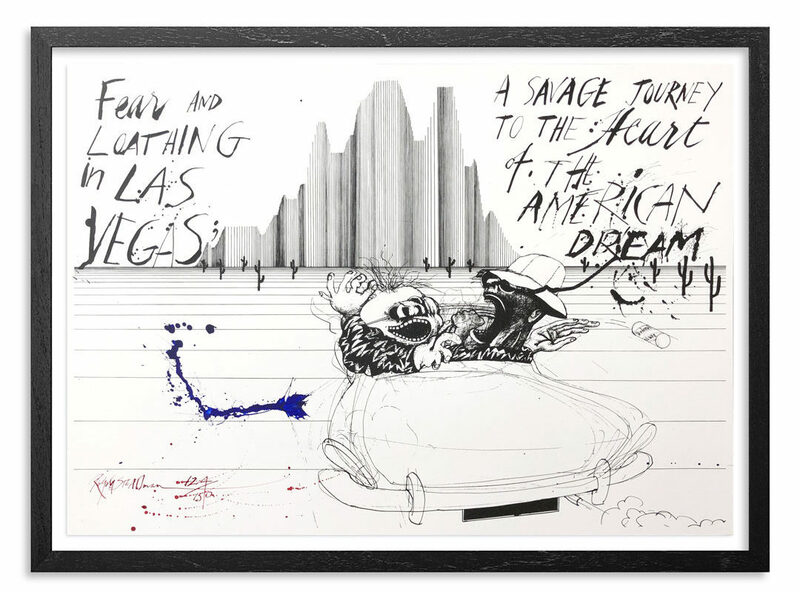 In partnership with prolific curator Brian Chambers, 1xRUN is extremely excited to welcome in legendary artist Ralph Steadman who joins us with very limited quantities of his latest iconic screen print The Savage Journey – America Dream Edition. 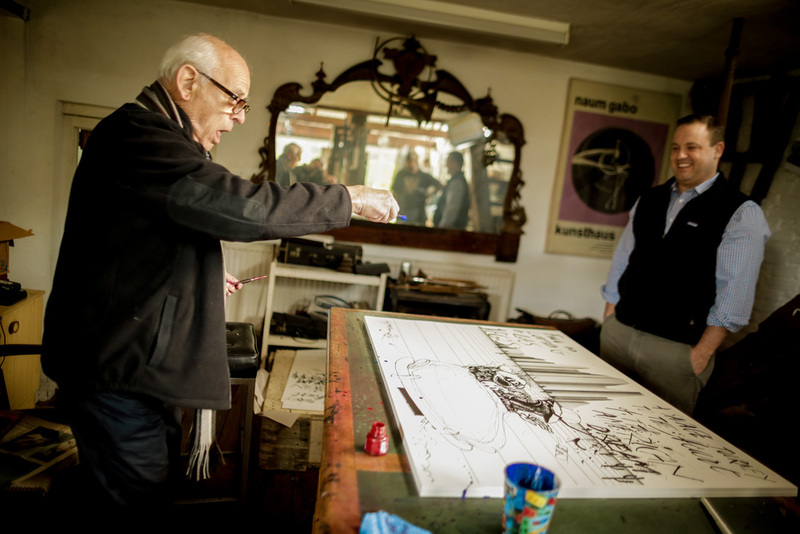 With each print uniquely hand-painted and screen printed by Steadman’s longtime printer Joe Petro down in Kentucky, this image is one of Steadman’s most historic. 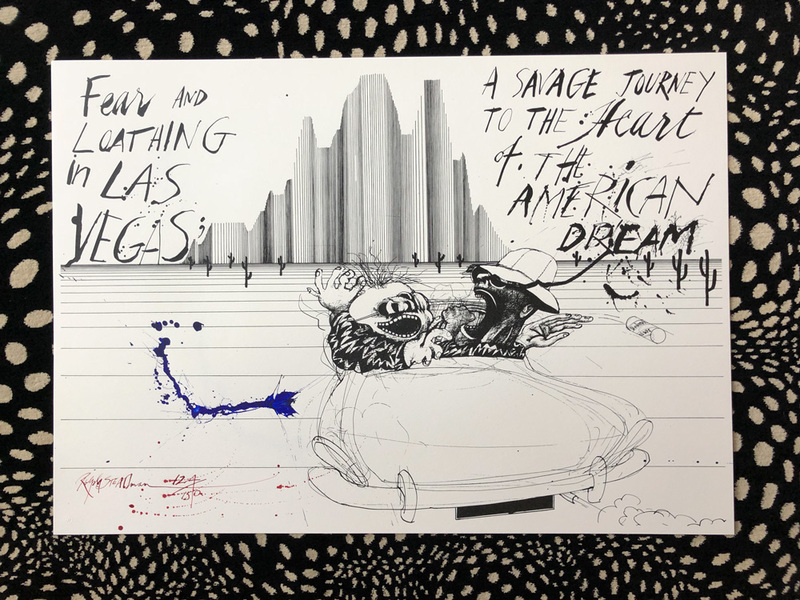 Taken from Hunter S. Thompson’s cult classic, Fear and Loathing in Las Vegas, Savage Journey is one of the most iconic and widely celebrated images in the novel. 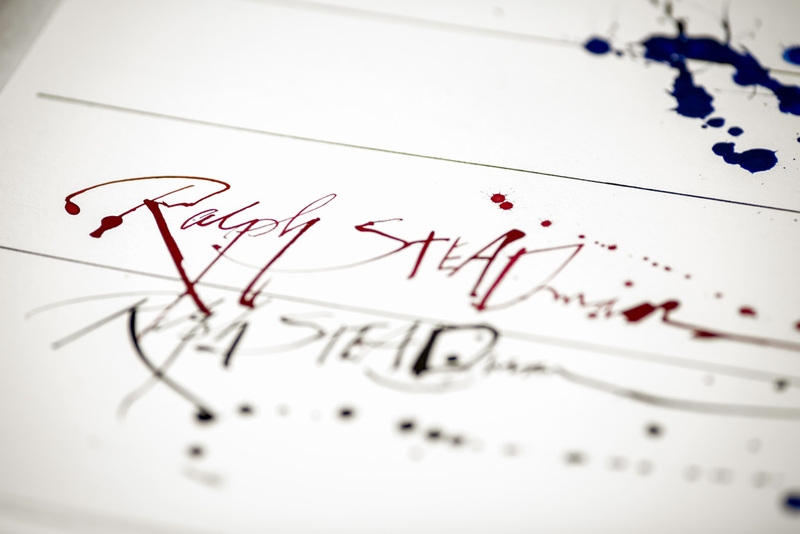 The very edition of 150 have all been signed and numbered in red ink and embellished with his trademark flourish, the splat, in Ultramarine Blue. 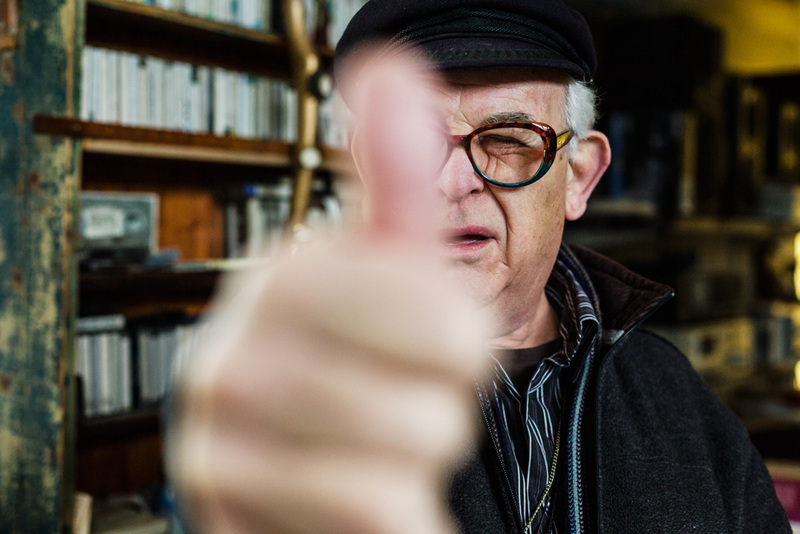 Each is a unique piece in its own right. 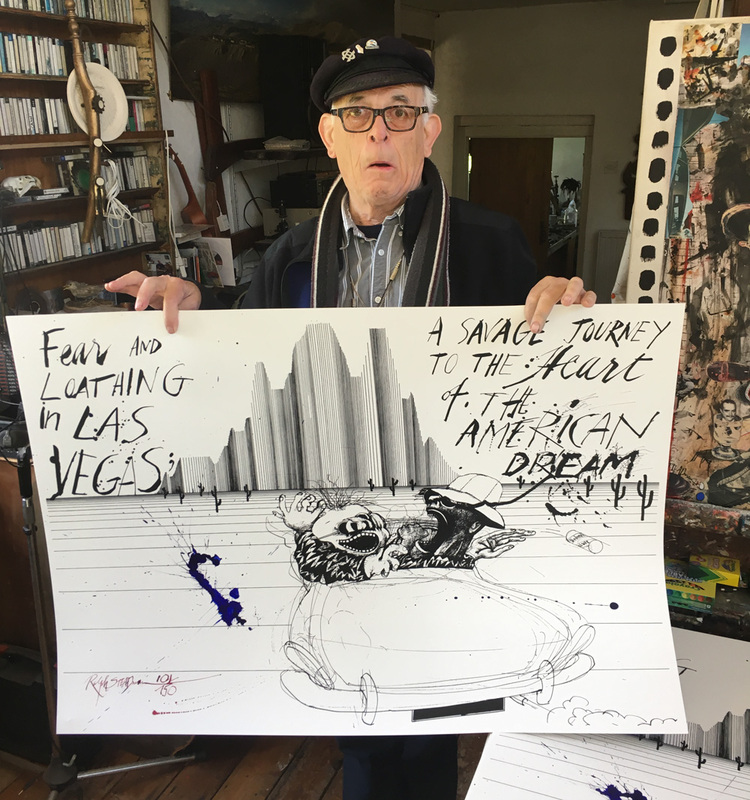 To celebrate Steadman’s 82nd birthday we are happy to offer extremely limited quantities of this historic print available for a limited time. 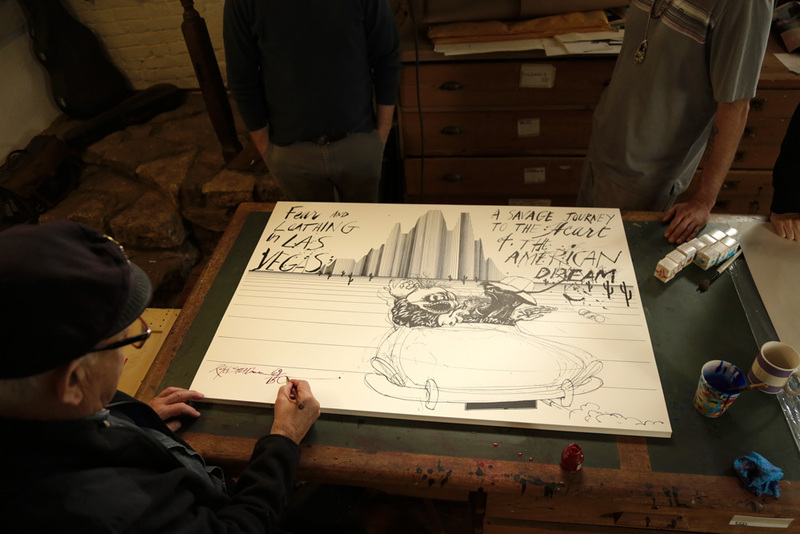 Read on to see behind the scenes photos, and more. . .